Morphine Street Price: How Much To Pay For Pills and Liquid? Morphine can come in some forms, with each of those forms fetching a slightly different average street price. Understanding the price of Morphine on the street in comparison to its legal counterpart is important. In most situations, Morphine pills street price will be vastly different from a legal prescription of the drug. The reason for that may be that you are not getting exactly what you pay for on the street. This is why it is so important to understand the price of Morphine on the street, as often, it can reflect the drugs purity and what you are putting into your body. How Much Should I Pay For Morphine? Where Can I Buy Morphine? Morphine is an opioid commonly used for pain relief during medical care. It relieves pain by altering pain receptors in the bodies organs. However, the drug is also highly addictive, and many who are treated with the drug become addicted to the drug and begin to use it recreationally. Once a user begins to use the drug recreationally, they may not be able to get a prescription or find it is too expensive. This is when they turn to the street. Morphine price per mg is much more expensive legally than on the street. Morphine street price tends to be around $1 per mg, whereas legally it can cost $25.84 for 120 tablets of 15 mg, approximately $10 more. 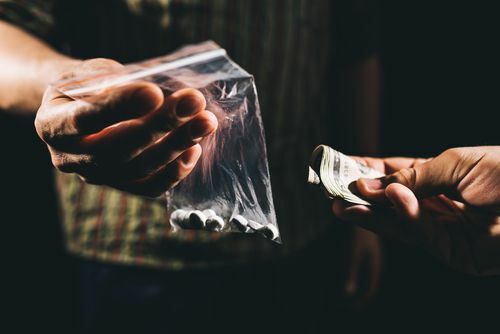 This may be because on the street drugs are mostly watered down with other, more deadly ingredients such as rat poison or cocaine, to make it even more addictive and further enhance the profits of the dealer. Another factor that may alter the street price of the drug is the way in which the drug is supplied. The drug can be taken orally, by tablet and can come in extended release form. Taking the pill crushed or as a tablet is much cheaper due to having to buy in bulk. However, price on the street is always influenced on by supply and demand in the location. This means in some places it may be difficult to find the drug for cheaper than legal prices anyway. According to the US National Library of Medicine, Morphine street price is by far the lowest of all opioids, meaning users that can get hold of the drug on the street often turn to it for a very cheap fix. Morphine street prices vary considerably because of some factors. Prices are also heavily dependent on the dosage of Morphine, the purity of the drug, as well as supply and demand in the area. Liquid Morphine in large cities in the north of the USA, as well as those such as Vancouver in Canada, have seen prices drop below $0.10 at times. Morphine can be purchased from a pharmacy after gaining a prescription from a medical professional. It can also be purchased on the street. Despite Morphine pills price being more expensive to buy legally; through a pharmacy, it is a much safer option. Buying the drug on the street is not only illegal but incredibly dangerous. This is because there is no way of telling the additional ingredients have been added to the drug. In addition to that, if you buy on the street, you will not have the advice of a medical professional. This may mean you become addicted on even overdose before you realize the doses you are taking are in excess. Buying opioids legally may be more expensive. However, there are ways to cut Morphine pills price legally. One of which is to compare prices in pharmacies. Not all pharmacies supply the drug at the same price, and not all forms of the drug cost the same. 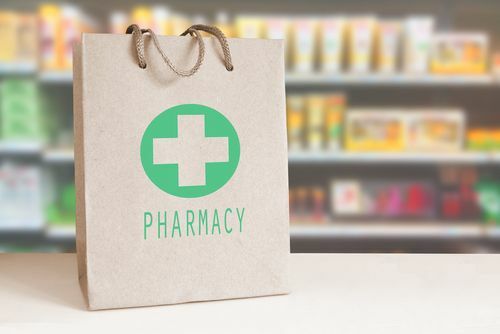 Shopping around may allow you to save up to $20 on 15mg. Many become reliant on opioids as painkillers. This is why the debate between cheap Morphine on the street or legal and its safer equivalent from a pharmacy begins. However, there are alternatives to the drug to prevent this debate even being necessary. One option is other opioids, however, they will also cause addiction, reliance and be expensive. Therefore, there are some natural ways to alleviate pain, such as ginger, turmeric or even increasing the magnesium in your diet. These methods may not completely take away the pain, but they may lessen it enough for it to be bearable, meaning you don’t have to rely on the help of opioids like Morphine. If you or someone you love has developed an addiction to Morphine, then you should seek immediate medical assistance. Opioids are highly dangerous and excessive use has consequences. For any advice on where to go to get help or the most suitable treatment program for you, call on hotline on (888)-459-5511. How Much Do 100Mg Morphine Tablets Go 4 On The Street. So crazy this conversation is happening abt the cost of street drugs. Better question is where can they be found? I see it this way, knowing the street prices os a bit of info that I suppose is helpful. Because I know that once the addiction is in place, best to be street smart! Once you run out. all pride aside, you’ll sell your soul to not feel the symptoms of withdrawal. But time told , when it starts interfering with paying your bills, it’s time for rehabilitation. Just keep in mind, just cuz theyey say it’s morphine..or what not, doesn’t mean that it is!